When I mentioned that this horoscope is for busy people, in fact, I wanted to say that I will not be fiddling with lots of information. Are you ready to have your world of health, love, romance, creative thinking and relationships totally rocked? I will present the discovery of horoscope signs for 2014, the most important things for your health and love only. If you are here for a first time, please like us on Facebook and be updated with our new articles and advices. Love. For the “married ones”, 2014 will be extremely tough. Take into consideration the consequences of your behavior. Be careful, also, how you treat your partner. Bad relation between you and your partner will drain your energy and will have bad effect on your career. Trying to avoid the problems in your house, you may start a relationship with a person who is not suitable for you. But, be aware! There is no secret that remained unrevealed… Be wise and be patient. You will live in fantasies during 2014, while looking for the Love of Your Life. It is more likely that you will idealize the person who is next to you. 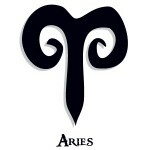 From 24 June till 19 July is a period that is suitable for starting a relationship. The second suitable period for this purpose is from 12 August till 6 September. From 2 to 6 October, there is a possibility to start a relationship that will change your life for good. In December, problems at your house will be solved finally. Do your routine controls because that is the only way you impede serious diseases. Pay attention to your health from 15 April to 4 June. The ends of June, July and September are critical, also. But, you are lucky besides little trauma, you have no other serials health disorders. Love. This is a happy year for the single ones. Those will start a new relationship. It’s possible that an ex-partner appears in your life and start a new relationship with your old partner. This time the relationship may work out. Good old times will come around again and that will make old dreams come true. Old passion will turn into new flame that will burn both of you. You will be in love, happy and full with passion. Marriage is very likely to happen with this person of your past. Those who are married will have problems at home and with their partner. A love adventure is also possible, but this may cause additional problems and misunderstanding at home. Your spouse will have no time for you and no understanding. 2014 is a perfect year for making the following questions: “Is my partner the Right One?! Is my spouse my Right Choice? !” Some will go over the problems and some will put an end to their marriage. Health. Flue is very likely to occur due to the fall of your immune system. It is high time you start thinking of you ONLY! See a doctor. You haven’t done that for years. In the first half of 2014 problems and disorder in your body is very likely to happen, while in the second half, you will cope easily with the stress. In the period after 9 February and in the period from 8 December till the end of 2014, your heart-healthy will be in question. Love. 2014 will be very exciting on the emotional field of your life. If you are in a stable love relationship, avoid looking at other men/women because you can get into trouble very easy. In the first half of the year, your childish spirit will give you a signal that it is high time you make a change in your life. But, also, it is high time you bring some important decisions. However, this is not the right year for doing many things at the same time. Relax and enjoy your time spent with your family. Those who are married will solve the problems in their marriage that have been occurring during the past years. Finally, they will calm down their childish spirit. 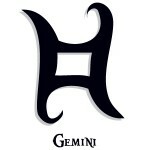 In addition, Gemini will make their partner believe that Gemini are always right and that there is no space for a change. For single Gemini, there is a possibility to find the love of their life. “The Love Days” for Gemini is from 3 to 29 May, from 12 August to 6 September and at the end of 2014. Health. You will have mental and physical disorders during 2014. You will feel exhausted and without energy. Also, same past diseases are likely to come back in your life. Be careful with the chronicle diseases and diseases such as: skin cancer, hair fall and nail infections. As, soon as you notice a symptoms, see the doctor immediately. This is a year where your stale health is the “Center of your world”! Love. 2014 will convey a sense of freedom, love and adventure. Pluto and Saturn will bring dramatic and rather comic situations, but also complicated love relationships. The first seven months will be critical for creating stability in your relationship. This is not impossible, however. If you make an effort, even the impossible turns out to be a miracle. In August, you are going to make radical decisions. Be, careful! Not everything is black and white in this life. You will have this sense of protection by a person from your surroundings. Be more optimistic. A dynamic love life is expected to happen in October and December 2014. Health. You are your worst enemy to yourself, when it comes to health. You are highly emotional person- that is not news. Your emotional stability brings your health disorders, especially with heart and liver. Lucky you – 2015 is not suitable for your health; 2014 is health- problems free. Love. Do not be desperate if your relationship is in crisis at the beginning of the year. This will only be a sign that you are constantly making drama from everything that is not according to your will. Your job will be put in the first place in your life – not your partner. This will result in fights and discussions. In March, the situation will go to another, better direction. You will be the one to accept that you have made a mistake and that you should dedicate to your family. Then you are going to plan how to buy a new flat or a house, eventually. 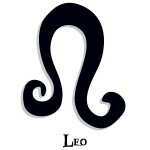 From 16 July and on, Leo will start living their life fully. Summer adventures are likely to happen. Enjoy your summer days and get some energy for 2015. Health. You will lower the stress during February and March. 2014 is health-problems free. Try to relax and do sport. You may have problems with obesity, since you do not take care of what and how much you eat. This is a period where kilos will “stick “on you. Time for enjoyment will go away, but pounds will stay with you forever. Love. The satisfaction from your love life will vary, from period to period. The first half of 2014 will be extremely happy. Stars will be on your side and the Planets, also. Unfortunately, in the period from July to December, things will go in another direction. Try to avoid criticizing others, which is very like you. Let your partner live his life, according to his/her personal view. Do not make him think that he is not good enough for you. 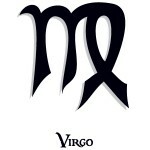 Single Virgo will have the opportunity to meet somebody special in the first half of 2014. 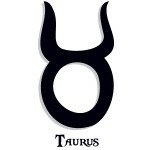 Don’t throw this chance down the drain because astrologists don’t see another chance of this type next year. Health. All in all, you won’t have any health disorders. However, don’t take this for granted. Be careful in the period from 10 June to 18 June. Avoid situations that may “kill” your psycho-physical balance. Also, you should change your nutrition. However, you don’t need this advice – you take care of yourself, even too much. Love. Libra will became victim of jealousy in the first half of 2014. Don’t go “under your level” and take care of your pride. Tactics what you need in order to avoid such a problem. 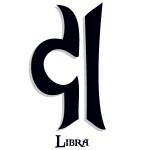 Single Libra will have the opportunity to start a stable and serious relationship. 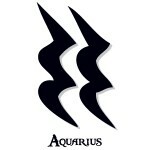 Someone older then Libra will “conquer” their heart and thoughts. A good period for starting a relationship is from 17 November to 11 December. The married ones will dedicate their time and lie to “their partner –spouse”. You will be involved in social activities. You will ask your partner to follow you in step and to help you to be popular in the society. Health. It is possible that you will have terrible headaches and to be hyper-sensitive. Be careful in the period from 22 May to 22 September. This is a bad period for you in terms of health. You will be involved in social activities, so much, that you, will forget the importance of good health. See your doctor in order to prevent eventual health disorders. Relax, go for a walk and do some non-extreme sport. Love. 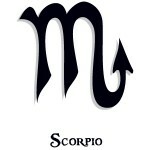 It will be a rather taught year for Scorpio – in marriage. Your marriage will be full of monotony and melancholy. You will act in a very dominant way that will irritate your partner a lot. The 2014 will be a year in which you shall have learned the lessons from 2013. That is why it is highly recommended that you avoid “extreme behavior”. The cure is conversation, not being silent. A new friendship is possible in the period from 6 April to 3 May and from 29 May to 26 June. A summer adventure is also possible in the period from 19 July to 20 August. An extreme and highly exciting year is ahead. Enjoy it! Health. The psychological stress will result in mental disorder. You will have high blood pressure and terrible headaches. Problems with your sight is also possible. When it comes to health, be careful in the period from 2 to 12 January; from 3-18 June and from 26 October to 10 November. But, it’s not so bad. You will finally lose weight and fulfill your wish from your past year. Love. This is not a year for praise when it comes to love. Nothing special will happen in this field of your life. If you are married, the communication with your partner will be OK with periodical misunderstandings. Your enemies will be interested in your relationship and will like to spoil your happiness. Involve yourself more in order to defeat such people. It may look like a big sacrifice, but the happiness of both of you is in your hands. 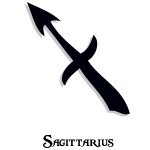 Some Sagittarius will be disappointed a lot in the first half of 2014. A nice period for improving your relationship is from 3 May to 19 July. From 17 November to 11 December you will enjoy love. Health. Your ambitions will kill you and destroy your health. You live a fast life, eat fast food and will get sick fast if you don’t make changes. Flu will “knock on your door”, very often due to the bad immune system. Eat more vegetables and avoid plain sugar and fruit. Do sport and go on a fresh air. A mountain picnic is perfect for your health. The period from 16 to 28 February is critical in terms of health. Love. In the first quarter of 2014 you will become part of a partnership that will result in a long-term love affair. For those who are married, this will be a year of adaptation and accommodation. You will be much more aware of the importance of your family. You will spent more time at home and make things better at your house. After March you can dedicate yourself to your career, because your partner will understand you completely. 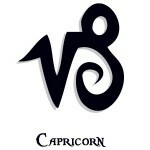 Single Capricorn will have debts whether to start a new relationship or to re-new the old one with his ex-partner. This period will last from 2 January to 7 March. A good start for your love life is from 6 October to 9 November. Health. You will be hyperactive. Due to this fact you will be very nervous and upset. Besides headaches, flue will be part of your life throughout the whole year. Problems with your bones may also appear, but this is nothing new. Don’t avoid your regular controls. 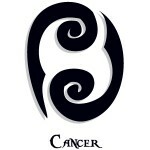 Cancer on the right side of your body may also appear. If you notice angling unusual, call your doctor. Be careful in the period from 14 April to 6 May; also in the period from 8 September to 22 of September. Love. You will afford yourself time for yourself ONLY! Everything is going according to YOUR plan. Most of your time you’ll be doing what you want the most – hanging out. It is very important that you are surrounded by people and you feel great only when you are among many people. No matter the fact that you are married, you will start new love adventure. New technologies will be in the focus of your attention. You will be the “Center of the world” among your friends. In the second half of 2014 you will start taking into consideration the issue “marriage”. You have great communicative abilities and each word will be measure and on a suitable place. Health. You have many bad habits when it comes to health. You are ok, but be careful, not to become obese. Change your nutrition and make your life better. Do sports, you are being lazy lately. Control your blood pressure. A bad – health period is from 2 January to 13 February. Also, another period of this type?! From 23 October to 16 November. Love. “Turbulence” is the word that perfectly describes your love life in 2014. Everything goes as usual at the start of 2014. Your efforts to change your partner at the beginning of this year will go down the drain. In the second half of the year you will be determined to solve this “problem” since it is essential according to you. “Everything or nothing”- will be your motto. 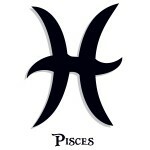 A new romance is likely to happen to single Pisces. Be careful not to “lose” your head for somebody that doesn’t’ even deserve that. The power of good prognosis will be lowered. That is not much like you! However, your fantasies and expectation, will be on a high level. Be careful not to disappoint yourself. Health. Your psycho-physical health can be brought to question since you had a lot of problems during 2013. You may catch a flu, but your biggest concern in 2014, regarding health is neurosis. Yoga is a perfect choice for solving problem of this kind. This will help you get rid of bad-influence people. Your intuition will be on high level: This will help you find the cure for your sick soul. Be careful in the period from 16-28 February. Another critical period is from 22 March to 14 April. You will be perfect from 2-8 September.